In 2018, the CHBC formed the Infrastructure and Vehicle Deployment Sector Action Group to provide a broader, industry voice for fueling station deployment, including opportunities to bridge functionality across light duty vehicle fueling, Power-to-Gas, and other market sectors. 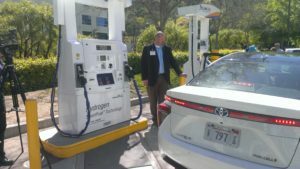 The CHBC will continue to work with the California Fuel Cell Partnership on infrastructure development and vehicle deployment through this SAG. The SAG is led by Co-Chairs Robert Bienenfeld, Honda Motor Company and Steve Ellis, Honda Motor Company.